A Preview of Episode 13: Artificial Intelligence – Enemy or Enabler? 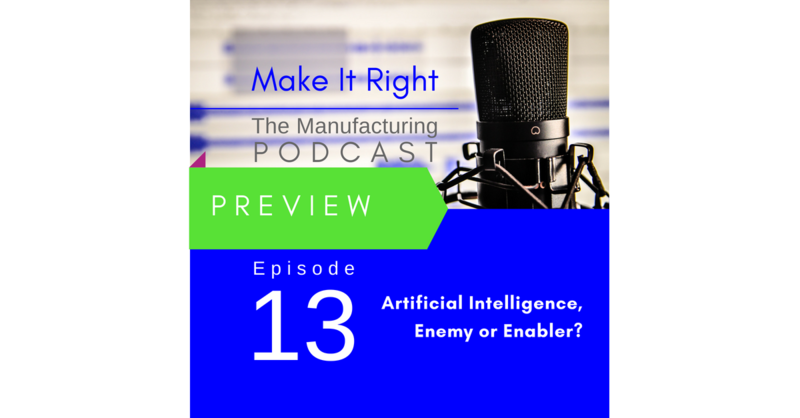 Check out the preview of Episode 13 where Janet and Kevin look at the impact AI is having on the manufacturing industry and discuss the prevention power of Quality Assurance. Full show coming Friday!